I’m happy to read some press releases (one posted below) that almost 200 websites which sell counterfeit golf clubs have been shut down recently. I get emails all the time from Chinese manufacturers who are trying to get me to sell their fake versions of Titleist, TaylorMade, PING, Cleveland and Callaway Golf clubs. I always tell them to jump off a cliff. In January some 60 other web sites were shut down. This past week’s shutdowns bring the total to about 250. Well played. For more on the fight against counterfeit golf equipment, visit Keep Golf Real. PHILADELPHIA, April 10, 2012 /PRNewswire-USNewswire/ — The U.S. Golf Manufacturers Anti-Counterfeiting Working Group announced today that the United States District Court for the Southern District of Florida has issued a preliminary injunction shutting down over 175 websites engaged in the sale of counterfeit golf products. The order marks one of the Golf Group’s most significant achievements in the fight against counterfeit golf merchandise sold via the Internet. Fresh on the heels of the Golf Group’s report in January of the successful disabling of over 60 counterfeit websites, today’s news further illustrates the Golf Group’s commitment to protecting consumers from unknowingly purchasing fake golf equipment. The lawsuit involves over 130 separate defendants operating more than 175 websites. The counterfeit golf merchandise previously featured on the subject websites included clubs, balls and accessories and visitors to these sites will now be redirected to a website displaying information regarding the preliminary injunction and other details of the legal action that is being taken. Both within the U.S. and abroad, the Golf Group has focused heavily on education and enforcement and is dedicated to curbing the manufacturing and sales of counterfeit golf products. The Golf Group has worked on educating its consumers on how to spot and avoid fake golf products through its own website, www.keepgolfreal.com. The U.S. Golf Manufacturers Anti-Counterfeiting Group was formed in 2004 to fight counterfeiters and protect its consumers from inadvertently purchasing fake goods. The Golf Group’s efforts have resulted in dozens of successful raids carried out by Chinese law enforcement and civil enforcement authorities. The Golf Anti-Counterfeiting Group consists of five of the most well-known golf companies in the world—Callaway-Odyssey and Top-Flite; TaylorMade-adidas Golf and Ashworth; PING; Cleveland Golf, Srixon and Never Compromise; and Acushnet Company whose brands are Titleist, FootJoy and Scotty Cameron. Since 2004, the Golf Anti-Counterfeiting Group has worked with international law enforcement and government agencies to conduct raids and investigations of counterfeit operations, as well as raise public awareness of the issue. 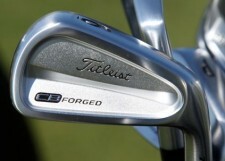 In 2011 alone, the group seized more than 80,000 counterfeit golf products. Thanks for writing about this Tony. It’s real important golfers become aware of these scams. Would be good to get a list of these site names. Hope the Burners I got from ebay last year weren’t fake! I would like a list of the sites that are fake if possible. I’ve tried to find a listing, but that information seems tough to acquire. I’ll post if I find anything. Well this great news and great to see the relevant authorities working so hard to close down these fake clubs and sites great job keep up the great work this can only help all the legitimate sites. I like how the Golf Anti-Counterfeiting Group consists of the top 5 in golf. However, it does appear very strange to me that Nike is not a part of this group. Maybe it is a question for Nike’s management team, but why would Nike exclude themselves from a being part of this team? I was duped by a counterfeit club vendor which does business out of China as wholesalegolfclubs.com and csreasons@sitecomplaint.com. I ordered a Taylor Made R9 driver from what I thought was a legitimate vendor with a very professional web site (which was revealed to me during a Google search for the driver). On initial inspection, the driver appeared genuine, but immediately came under scrutiny because of the obviously heavier swing weight. I spoke to a Taylor Made rep and a local Edwin Watts rep who did the weight measuremnet and confirmed it was a knock off. In follow up emails to complain in which I asked for a full refund (about $200), I was, after a time, offered $70 which I have refused. Also, the club arrived without the conventional adjustment wrench. The company has stopped corresponding with me, and I would be happy to supply any information I can to make sure this company is sited as a counterfeit club vendor. Sorry to hear that Brian. If you paid by CC you could dispute the charges through your credit card company. When someone advertises on eBay a brand new set of Wilson Staff Fg Tour V2 irons for $349 and everywhere else you look they are selling for $799, there’s a pretty good chance they are fake. WIth all of these discuount golf houses and online stores, the green grass shops have become a thing of the past. It’s a shame, really!